User experience design, women in technology, acting, gaming, and general geekery. Yesterday, I went in for a monthly phlebotomy (ie bloodletting) as ordered by my doctor. You see, I have a genetic condition called Hereditary Hemachromatosis, which was diagnosed in 2008. (It surfaced about 30 years earlier than normal for women). My “treatment” is to go to the blood center and donate blood, sometimes more frequently than is typically allowed without a prescription. Hemachromatosis is essentially the opposite of anemia. Your body absorbs iron too well – which may sound awesome to anemics, but iron can only leave your body in blood, and as it builds up in organs it can cause cirrosis, liver failure, and cancer of the liver or pancreas. A known side effect, if it is left untreated long enough, is setting off metal detectors for no good reason. I wish that I had a better mutant power than temporary diversion, but there you go. The first time my iron was tested, my ferritin saturation level (normally 45% is high) was 98%, and my serum ferritin level was somewhere around 350 ng/ml. Normal for a woman my age was around 200 at the high end. But the retest 3 weeks later came back EVEN HIGHER – around 450 ng/ml. According to my doctor, once you get around 500 you’re risking irreversible liver damage. It was then that my GP referred me to a specialist for treatment. The specialist also did a DNA test and verified I had a double mutation of the gene (HFE) that is associated with hemachromatosis. I officially became the Iron Maiden. But despite living in the future, the only treatment for hemachromatosis is bloodletting. For the first 6 months of my treatment, I went every 2-3 weeks to the cancer center to have a pint of blood taken. You’d think that would be perfectly good blood, but because of a blanket national policy against using medically motivated donations, all of that blood was destroyed. The only way for HH patients to donate to the community is to provide the Puget Sound Blood Center (or another regional blood bank) with paperwork PROVING you’re a mutant and that your iron overload isn’t caused by a contagious condition. It’s the FDA who instituted this policy – and for decades, there was NO way for HH patients to donate. But the sum total of the situation is that I had to jump through a ton of hoops to become eligible for donation, when it would have been far easier just to keep going to the cancer center. I wish that would have been the last hoop I jumped through, but my experience has been pretty poor every time I go to one of the PSBC locations. There’s always some issue. It starts with scheduling – therapeutic donors can’t book through normal channels, and the few people who can book us are sometimes nowhere to be found. Once you book and get to the center, volunteers aren’t allowed to process therapeutic donations, so I have to wait for a specialist, which can take a while even with an appointment. Then, almost every time I go, there is some sort of paperwork problem. A consent form is missing and they don’t have copies, the blood center didn’t file the orders from my doctor correctly, someone didn’t update my record when new orders came in and tried to prevent me from donating (what happened yesterday), etc. I always feel like a second-class citizen as a result of all this, even though I’m a guaranteed lifetime donor if they’d just treat HH patients like they wanted us there. After yesterday, I found myself seriously considering going back to the cancer center – I can tell this whole thing stresses me out, because my blood pressure is always higher at the blood center except for the one time I had a friend/phlebotomist on duty who took care of my paperwork personally and kept things running smoothly. And I already hate the process (come on, does the needle need to be the same size as a CapriSun straw? seriously? ), so being more stressed out makes the process downright dreadful. In a funny way, I can kind of identify with Magneto in a teensy way when this keeps happening (who, as you can understand, is my nemesis. See the beginning of X-Men 2 for why.) It’s not discrimination, but since I am healthy and have no contagious diseases, just a little extra iron that would be REALLY helpful to most trauma victims, getting treated like crap because of a genetic mutation when you’re just trying to help is… well, lame, for lack of a better word. As with many of my medical experiences, I find myself longing for some minimal service design principles to be applied. Don’t worry, I’m not going to amass a rebel group of mutants to protest this kind of thing. And the prospect of saving lives has kept me coming back, for now – but things seem to get worse, not better, and I hope they don’t drive me away from community donation just because they can’t handle the Iron Maiden*. Cheryl Platz is a Principal Designer at Microsoft, and Design Lead for the C+E Admin Experience team. An internationally recognized expert on natural user interfaces and design for AI, she was the original designer of the Echo Look and Alexa Notifications. The founder and owner of design education company Ideaplatz, Cheryl travels the world sharing her talks and workshops on a variety of design topics. 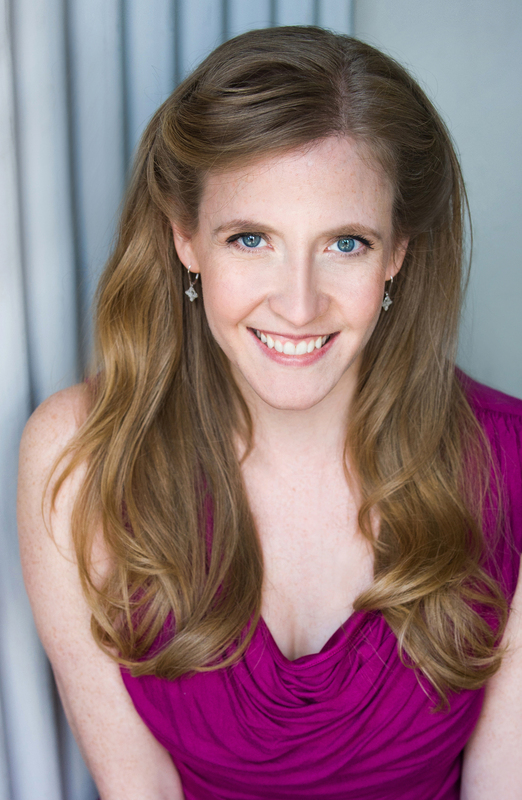 As a professional stage and film actress, Cheryl can be seen on a variety of stages and video productions. In Seattle, she appears regularly with her home company Unexpected Productions (Seattle TheatreSports).